January ~ Winter Harvests, Soil, Planning Your New Year! Elegant, nutritious Nero di Toscana Lacinato Kale aka Tuscan, Black or Dinosaur. Delicious winter garden harvests continue! You may not feel like eating as many salads in this cooler time, but veggie soups and stews are super nutritious and great for sharing! Keep an eye on weather reports! We are still in the frost – freeze time in Santa Barbara until the last average frost date January 22 – measured at the airport. Have old sheets, light blankets, old towels handy. If a freeze is predicted, for small plants, like tender lettuces, just lay tomato cages on their sides and put your coverings over them. Secure coverings well so wind doesn’t blow them around and damage your plants or leave them uncovered. Remove them when the sun comes out! No cooking your plants before their time! Dates vary from the coastal areas to the foothills, and our climate is changing generally to warmer, so these dates may not be viable guides much longer, if even now. Find out the frost dates for your Zip Code! See the details – Protect Your Veggies from Freezing! Be sure your caged, trellised and tall plants are secure before winds and rains. Afterwards, stake any plants that have toppled, check your trellised plants. Harvest what can’t be saved. After rains there are weeds! It’s time for that Hula hoe! Weed, weed, weed! Do it before the roots get bigger and you lose your soil when you pull them out. Weed before taproots get deep and hard to remove. Get those clover roots out all the way down and before grass makes its frilly little seed heads. FIRST, remove any weed that is flowering, making seeds soon! Anything that is not seeding, healthy and not pest infested, may be cold composted, or you can use them as mulch where there is bare ground not in your garden. Once the weeds are out, you have choices to make. Plant very last rounds of winter plants or start making soil for spring planting! January Plantings If you love your winter crops, and aren’t necessarily in a rush to do spring/summer, amend your soil immediately and plant one more round, from transplants if you can get them or the starts you have begun on your own, seeds if you must. See December for tips on what to plant. In cooler January weather, plantings will start slowly, but they will mature faster than usual as days get longer. Most January plantings will be coming in March, April. That’s still in good time for soil preps in April for April/May plantings. In April/May there is less fungi in the soil, so plants that are fungi susceptible get a better start – mainly that would be wilt susceptible tomatoes. Plant MORE of these delicious morsels now! Arugula, beets, brocs, Brussels sprouts if you get winter chill (there are some new purple ones on the market!!! ), bunch onions, cabbage, carrots, cauliflower, celery, chard, culinary dandelions, garden purslane, kale, kohlrabi, head and leaf lettuces, Mesclun, parsnips, peas, potatoes, radishes – especially daikons, and turnips! If you would like some tender little snacking carrots, quick growers to show the kids, or minis for your pup, try early Adelaides from Johnny’s Selected Seeds! They say ‘True baby carrots. Unlike most “baby carrots,” which are harvested at an immature stage before properly filling out, Adelaide is a true baby, meaning it has an early maturity and forms a blunt root tip at 3–4″ long.’ Only 50 days! See all about Carrots! For us SoCal gardeners, besides beautiful bareroot roses, this month is bareroot veggies time! They don’t have soil on their roots, so plant immediately or keep them moist! Grape vines; artichokes; short-day (sweet) globe onions; strawberries; cane berries such as raspberries (get low-chill types); low-chill blueberries; and rhubarb, asparagus, and horseradish. Bare root planting is strictly a JANUARY thing. February is too late. Many bareroot veggies are highly sought after, so keep checking their arrival date, then when they arrive, drop everything and go get them! Continue to make the most of winter companion planting! Carrots enhance peas, onion family stunts peas. Cilantro enhances Brassicas and repels aphids on them! Lettuce repels Cabbage moths. Onions, leeks and chives help repel the carrot root fly. Carrots thrive when Cilantro, Chamomile, Marigold are planted with them. Companion planting is also a size strategy. Keep planting smaller plants, especially lettuce, on the sunny under sides of Brassicas! Take off a couple lower leaves to let more sunlight in. Under Brassicas, plant lettuce from transplants since Brassicas are a bit allelopathic, makes biochemicals that inhibit small seeds like lettuce from germinating. Planting summer crops early isn’t always a gain. Even if the plant lives, some won’t produce fruit until they have enough hours of sun, and for some, warmth including day/night and/or ground temps. And some plants set in too early will never produce. That waiting time for enough sun, enough warmth, interrupts the plant’s natural cycle and the production window is lost. If you take that chance and it doesn’t work, pull and replant. No amount of waiting will do the job. Peppers are a classic example. For some gardeners peppers take forever…………. For others the standard couple of weeks and seeds are seedlings! If you have experience, you probably know which it is for you. A lot of Latinos start their peppers in January and let them grow slowly until April. If you plant from transplants, I would not try for an early start. Peppers just don’t like cold feet. Whenever you start, plant two rounds, two to three weeks apart. That way you have a better chance of hitting the magic window! Soil Temps are critical for root function. Peppers need 60 degrees + for happiness. A gardeners’ soil thermometer is an inexpensive handy little tool to own. You can use area that becomes open for temporary plants. Put in quickie leaf crops like lettuces, arugula, bok choy, spinach, chard, kale, until it’s the right time to plant heat lovers. These quickie plants can be removed at any time and you still shall have had lush harvests. Hardly anyone can resist planting early tomatoes, February, March! Another strategy is plant your leafies to one side, leaving room to plant your toms where the toms would be planted if the leafy plants weren’t there. Plant tomatoes on the sunny sides of the leafies so the baby transplants/seedlings, get plenty of sun for a good start! When your big plants get big enough, remove lower leaves that shade your leafies. That way you have table food and your heart is happy too! Depending on how big your open area is, you can also plant your leafies in zig zags then add the permanent heat lovers inside the ‘V’ areas. As soon as possible plant companion plants for the heat lovers you will be growing in each area. Choose early cold tolerant tomato varieties. Ones with northern names, in SoCal that could be Oregon Spring, or Siberian. Stupice from Czechoslovakia is very early! Bellstar, from Ontario Canada, is larger and earlier than other plum tomatoes. Early Girl is a favorite! And SunGold cherry tomatoes are almost always a winner! Cherry toms are small and will ripen when other tomatoes just stay green for the longest! Summer Garden Design is important right now! You can do diagrams on paper or just give it a good think to see if there are any changes this year, and carry it in your head. That layout is what you need to make your seed list! Seeds from catalogs, seeds from the Santa Barbara Jan 27 Seed Swap! The Seed Swap is free, fun and random, a good way to try plants you might have never considered, and they are adapted to your area! Catalogs give you the best selection and of plants your nursery doesn’t carry or isn’t able to get. Check for drought and heat tolerant varieties or look in dry or humid southern states that match your eco niche or world areas that have heat tolerant desert low-water-needs plants and order up! The seeds of these types may need to be planted deeper and earlier than more local plants for moisture they need. They may mature earlier. Be prepared to do second plantings if needed and use a little water. See Choosing Seeds: Catalogs to Seed Swaps! Before you opt out of planting tomatoes and/or cucumbers due to Fusarium and Verticillium wilts, check out this special guide for successful results! Get resistant varieties and there are special planting and care techniques that work! Later January is time to sow seeds indoors for mid to late March early plantings. If you will be doing succession plantings, sow your seeds in succession, like every 2, 3, 4 weeks depending on which plant it is and how many you need. If those fail, it’s to the nursery you go for transplants! Avoid box stores that bring plants from elsewhere that may not be timely for your area, may be infested or sick. Check them carefully. This is very important in a community garden where pests and diseases can spread quickly. Select local nurseries that order conscientiously for local timing and try to get quality plants for us. You may pay a tad more, but it is worth it. Local people live here and they have your interests at heart since they want your repeat business. Also, they can answer your questions. Establish a good relationship. At the Farmers Market, check with local farmers to see what they plant when. Some feed stores are agriculturally inclined. Check out Seed Soaking/Presprouting Tips & Ideas! If seeds and tending seedlings aren’t for you, wait and get transplants and pop them right in the ground per their right times! No fuss, no muss. Prevention A typical disease is Powdery mildew. Plant leaving plenty of space for air circulation. Apply your baking soda mix. Drench under and upper sides of the foliage of young plants to get them off to a great start! Do this the same or next day if transplanting. A super combo is 1 regular Aspirin dissolved, a 1/4 cup nonfat powdered milk, heaping tablespoon of baking soda, a half teaspoon liquid dish soap per gallon/watering can. Reapply every 10 days or so, and after significant rains. Prevention is so much better than after mildew has set in. See Aspirin Solution. Standard Winter Garden Veggie Predators Keep a keen watch for pests and diseases and take quick action! Gophers You can still put in wire protective baskets or barriers, especially now while the soil is softer after the rains. If you see a fresh mound, trap immediately. Aphids Watch for leaves unnaturally curled along the length of the leaf, particularly broccolis, cauliflowers, kale, cabbages. Squish or wash any or the colony away immediately, and keep doing it for a few days to catch the ones you missed. Check the new growth tiny leaves at center top. power spray to remove any aphids there. Remove hopelessly infested leaves. After that, water less and give it less food so plant leaves will be less tender and inviting. White flies Flush away, especially under the leaves. They are attracted to yellow, so keep those Brassica yellowing, yellowed leaves removed pronto. Again, a little less water. Gently and shallowly dig in an inch or so of worm castings out to the drip line. Disturb as few of the surface area feeder roots as possible. Leafminers Keep watch on your chard and beet leaves. Pull away those blotchy sections the leafminers make; immediately remove whole leaves that are too funky for rescue. Harvest the bigger outer lower leaves more often to stay ahead of the miners, especially the leaves that touch another plant. If necessary, thin crowded plants. Water and feed just a little less to make those leaves less inviting. Plant so mature leaves don’t touch or deliberately over plant then thin for earlier eating and more crop! Rather than row plant, interplant here and there. Biodiversity. Slugs, Snails BEFORE you put in new transplants, sprinkle a bit of Sluggo type stuff around to keep snails and slugs from seriously damaging or disappearing tiny seedlings or transplants while they are small. Do it twice to kill off the generations. That keeps the creatures from mowing seedlings overnight, making you think they never came up! If you notice tiny children snails or slime trails, lay down another couple rounds. If you need more robust soil, do something absolutely yummy with it! This is perfect timing to put in some green manure aka cover crop for April plantings. Depending on the type of plants you choose for your green manure, allow +/- 3.5 months for the process. If you want the earliest planting time for spring, plant ASAP! See Living Mulch! Put it where you will plant heavy summer feeders – tomatoes, potatoes, eggplants, peppers, chilis, squash, pumpkins, cucumbers, melons, and corn; hungry stalk vegetables like celery, fennel, rhubarb, and artichokes; or continually producing green, leafy vegetables like lettuce, spinach, Swiss chard. Or you can ‘rest’ an area by covering it with a good 6″ to a foot deep of mulch/straw! Keep it moist and it will flatten down in no time at all! Simply let the herds of soil organisms do their work over winter. That’s called sheet composting, sheet mulching or composting in place – no turning or having to move it when it’s finished. If you are vermicomposting, have worms, add a few handfuls to speed up and enrich the process. Come spring you will have rich nutritious soil for no work at all! COMPOST always! Soil building is the single-most important thing you can do for your garden. Compost is easy to make, and if you make it, you know what’s in it! Added to your soil, made or purchased, it increases water holding capacity, is nutritious, soil organisms flourish, it helps with immunity, your soil lives and breathes! It feeds just perfectly! Make it HOT, Cold, or In place! Dry is dead, so be sure it is always slightly moist. Sidedressing Hardworking leaf producers and big bodied Brassicas, may need a feeding now. Heading is your cue to help them along. If they slow down, or just don’t look perky, slip them a liquid feed that quickly waters into the root zone. Stinky fish/kelp is easy for them to uptake in cooler weather. Get your nozzle under low cabbage leaves and feed/water out to the drip line. Lettuces love manures. Compost and manure teas, fish emulsion (when there are no digging predators like skunks), pretty powdered box ferts, are all good. Use ½ the strength of your summer feedings. Slow release alfalfa pellets are a wise consideration. Worm castings, though not food, work wonders! Also, be careful of ‘too much’ fertilizer, too much water, that makes for an aphid tasty soft plant. That said, another way to get goodness to the roots is push in a spade fork vertically about 6″ or less deep, wiggle it back and forth, remove the fork, pour your foods into the holes, close ’em back up. Soil organisms will get right to work, your plant will stay healthy and be quite productive! Especially feed your cabbages, lightly, time to time, because they are making leaf after leaf, dense heads, working hard. I often see kales lose their perk. You would too if someone kept pulling your leaves off and never fed you. Feed them too, please, while feeding your cabbages. It’s a New Year! Some of you will make serious gardening resolutions, others will take it as it comes, one day at a time as usual. But I do recommend you secure your seeds for the year ahead! Some are now less plentiful with droughts, fires and floods, GMO threats, new laws. Recently much needed seed banks, libraries have sprung up. We want to use our seeds with reverence and seed save our best as they adapt to different climate change conditions, assure their goodness for future generations. At Seed Swaps, take only what you need. If many people grow them, there will be more adapted to our localities. Before there were seed shops, seeds were often used as money. They are as precious today as they have always been, maybe even more so. Happy New Year Gardening and Feasting! Borage, StarFlower, is Such a Winter Spring Beauty! Make Soil for Spring Planting – Amendments, Castings, Teas!. Events! Not to miss the January Santa Barbara Seed Swap! Permaculture Design Course at SBCC, US Compost Council Annual Conference, Earth Day, the International Permaculture Conference, IPC 2020 Argentina! Subscribe to Green Bean Connection Monthly Newsletter! December images! Last of 2018 images at two of Santa Barbara’s community gardens, Rancheria and Pilgrim Terrace. See lovely flowers, cheddar cauliflower, a handsome potato fork! The Green Bean Connection started as correspondence for the Santa Barbara CA USA Pilgrim Terrace Community Garden. All three of Santa Barbara’s community gardens are very coastal. During late spring/summer we are often in a fog belt/marine layer most years, locally referred to as the May grays, June glooms and August fogusts. Keep that in mind compared to the microclimate niche where your veggie garden is. Love your Mother! Plant bird & bee food! Think grey water! Grow organic! Bless you for being such a wonderful Earth Steward! Sharing is caring! Let's get the word out! 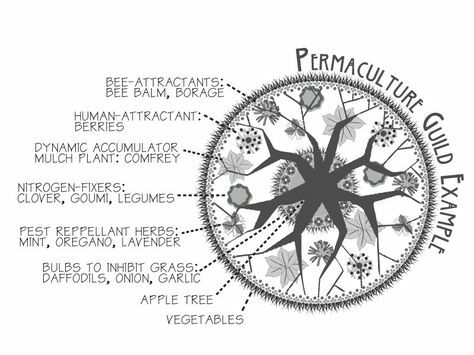 Permaculture is more than growing food; it includes how we live with each other, how we live with the land. It’s living sustainably, a way of life! It started in the modern sense with Australian Bill Mollison, researcher, author, scientist, teacher and biologist. His legacy was carried on by his student David Holmgren. Bill’s most famous book is the 1991 Introduction to Permaculture, still a great read today! Geoff Lawton has taken Permaculture to over thirty countries around the world, to teach, to restore deserts. Permaculture uses nature’s ways of bringing land back to life. It has been done on many continents. The UK and China recently announced ambitious projects to plant millions of trees in an effort to create new forests. Feb 13, 2018 – China has reportedly reassigned over 60,000 soldiers, and some of their police force, to plant trees in a bid to combat pollution by increasing the country’s forest coverage. High altitudes Austrian Sepp Holzer is another hero. His book is Sepp Holzer’s Permaculture: A Practical Guide to Small-Scale, Integrative Farming and Gardening. One admirer says: ‘Sepp’s approaches to horticulture and agriculture generally sound CRAZY! And then you hear the logic behind it and see the amazing results. The dude is a genius!’ He’s great to hear in person. It is said he was doing permaculture before he ever heard the word! And I’ll bet some of you are too! Gaia’s Garden, the best-selling permaculture book in the world, by Toby Hemenway brought permaculture to the average American veggie gardener, urban and suburban growers. His chapter on living SOIL changed my life! It woke me to how gardening is a 100% living adventure! ‘[The] revised and updated edition features a new chapter on urban permaculture, designed especially for people in cities and suburbs who have very limited growing space. Whatever size yard or garden you have to work with, you can apply basic permaculture principles to make it more diverse, more natural, more productive, and more beautiful. Best of all, once it’s established, an ecological garden will reduce or eliminate most of the backbreaking work that’s needed to maintain the typical lawn and garden.’ That’s quite a claim, but it’s true! How I got to know permaculture was the large scale version, first selecting the land – ideally choosing an area that has higher land that drains to a lower area, a creek is lovely. You can have hillside terracing, your veggies are watered, and you have fish ponds below that water and fertilize veggies there! 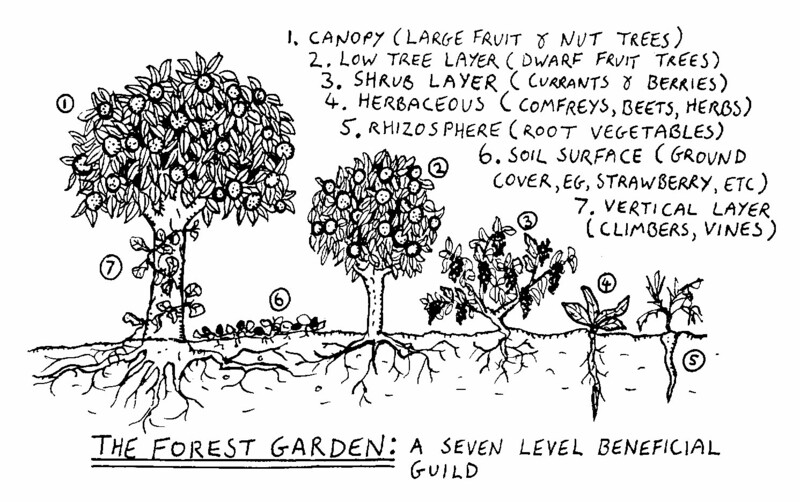 Food forests can be a part of this setup with the seven levels of plants. First you plant core trees, install shrubs as undergrowth, on down to ground covers and lowest level veggies. Trees, like other plants and us, get along with some plants, not others. Tree guilds, communities, are important to establish. Depending on how much land you have, select your trees wisely. 1) Wind protection, keeping your garden warm in a cool climate or dryer in a moist shore area climate, or conversely, more sheltered from drying winds in a dry climate! This U shaped keyhole garden lets the warmest southern sunshine in. Adjust it to your needs. 2) Food Forests – Guilds/Communities! There are variations! Every gardener’s situation and wants are different. This is a guide to stir your thinking. If you have a lot of wind, the shrub layer can be super important to the veggies. Adjust as makes sense. IE # 3, the shrub layer height depends on what you choose. I like blueberries, and blackberries are a lot taller!!! A remarkable feature of Forest Gardens is when many who have never seen such a thing before see them for the first time, not being familiar with the food plants of an area, they don’t know it is a garden! Indigenous peoples ‘gardens’ blend so perfectly with nature, unknowing visitors think that area is simply the nearby perimeter undergrowth surrounding the village! 3) Here is an Apple Tree guild/community example. Look how much can happen there! If you don’t do that, put in a legume and oats cover crop to feed and condition the soil. Maybe you would do that the first year. Here’s a more extensive post Living Mulch! When, Which and Why?! Another permie principle is to be as self sufficient as possible. Select soil enhancing legume trees, trees for quick growing firewood, trees with nuts for protein. Have fish and chicken for protein and manures! Raise bunnies, goats and sheep for fur/wool for clothing, and poop and meat. Make your own energy. However, if you are gardening at a community garden in a 10X20′ plot like I am, you scale down to the most simple applications of the principles. You take sun/shade, high/low areas, wind direction, into account, plant cover crops when the soil needs refurbishing. 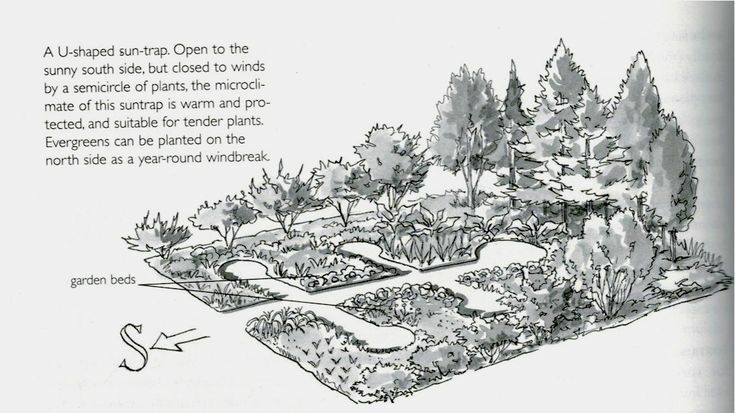 You might install a small water pool or plant water loving plants in a low area near the hose. Plant companions to enhance growth, protect from pests and diseases. Intentionally include habitat for beneficial insects, birds and animals in your space or nearby. Install wild bee homes and owl houses. Row or monoculture planting, like farm plantings, are ‘unnatural,’ not as useful as biodiversity like in nature. 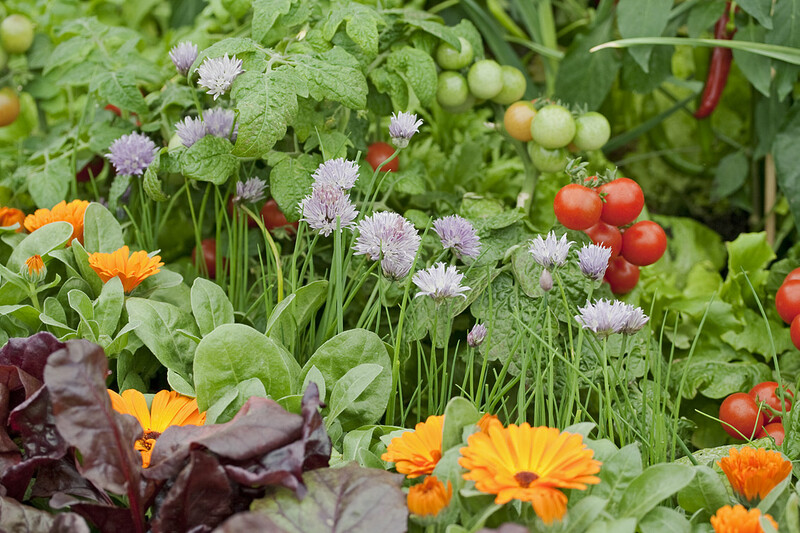 Research has shown home gardeners efficiently produce more per square foot than farms do! We don’t need tractor or harvest machinery space. Plants can be grown side by side, trellised above and grown under the biggers, around and among! Even in rows, ie lettuce, carrots, onion, kale can grow all together, from tall to short, harvesting is no problem! If you plant along the sun’s path of the day, you can grow on both sides of the tallest plants! 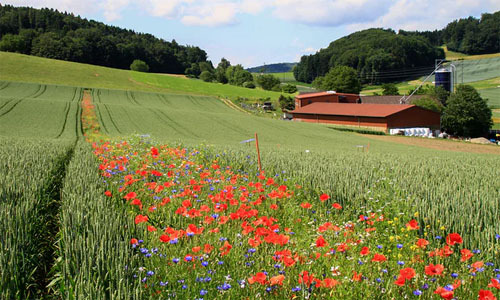 Organic growers are combining strips of bright flowers and legumes among their plantings to bring bees, enhance their soil, interrupt pest patterns, eliminate the need for pesticides! We can do that on a smaller scale, and not necessarily in rows! In drought areas savvy farmers are using land differently, following the contours of hillsides, along canyon walls, like farmers all over the world have done for centuries. They are resurrecting old tricks like cultivating after a rain to prevent evaporation. Seed Saving is clearly a vital part of permaculture. In the old days, isolated people’s lives depended on it. Saving our local seeds, from our best plants, each year, yields super plants with improved production. Those plants love that location, that soil. They love you and how you garden! Seed Saving is still a very vital ritual. Getting a Permaculture Design Certificate, PDC, is most admirable, recognized around the world. In Santa Barbara CA area Santa Barbara City College offers a right smart course by two savvy instructors! Nearby Quail Springs Permaculture Farm offers a 2 week intensive taught by well-known instructors. You live-on-the-land, applying the principles as you learn them. It is a treasured experience. Getting your certificate with the world renowned Larry Santoyo, water specialist, is much coveted. There are many permaculture publications, including ecopsychology! There are events worldwide! This site lists events important to those of us interested in permaculture. This page by Oregon State University lists permaculture organizations worldwide! The idea is to get maximum return per the land’s ability to support it in harmony with nature and each other. Permaculture applies to all facets of your life. Being thoughtful about growing fruitful relationships with people is part of permaculture. We are all part of the greater ecosystem. Humans need specific care. Special kindnesses, sharing, to be able to secure our needs in times of stress – illnesses, injury, losing a loved one, crop failure, hard seasons or years. Collaborating like companion plants certainly enhances our chances. Plants can’t go walkabout, but we can. We can do good for many other humans and spread the good word. We can share our abundance. At times we can trade one thing for another. Stand way back. Get a good look at the big picture. Take time to be thoughtful. The earliest facets of your Permaculture choices, like the selection of trees, are the most permanent, that shape the long term plan, the backdrop for years to come. Let go of artificial time limits. Wait. Have patience, learn more. If you don’t feel quite sure yet, talk with more others. ‘Mistakes,’ like growing the ‘wrong’ tree, could have 20 or 30 year consequences. Ask others why and how they got started, what mistakes they made, how, if they could be, repaired. What were their successes that have done well for them. Search online for the pros and cons of your ideas. If you are on totally new ground you may just have to fly by the seat of your pants! Take images to document your experiences. Make a few reminder notes as to why you made that decision at that time. The most natural times to establish a new permaculture garden in southern climates are at season changes, but, of course, there are variables for many reasons. Start when you can. In northern areas we’re looking at spring. Well before that time, be researching and designing – notice nature’s ways with your land and let that be part of what shapes your plans. Smaller shrubs, veggies, can be adjusted along the way all year every year. Permaculture isn’t really something new. It is way more complicated than these few words. I hope you look into it further for yourself. We are each so different, no two situations quite the same, each are making our own unique contribution. It takes a village. Please make comments, leave a trail of knowledge for others to follow. Blog your experiments and experiences. That is like fertile soil to our minds that translates to our gardens. Live in as good a way as possible in ultimate harmony with nature! The Green Bean Connection started as correspondence for the Santa Barbara CA USA Pilgrim Terrace Community Garden. All three of Santa Barbara’s community gardens are very coastal. During late spring/summer we are often in a fog belt/marine layer most years, locally referred to as the May grays, June glooms and August fogusts. In 2018 they lasted into September and October! Keep that in mind compared to the microclimate niche where your veggie garden is. Veggie Gardening Revolution: YOU & ONE SEED! Winner of the 2012 Green Thumb Award for Outstanding New Product, the Vegtrug’s back-saving design allows you to garden while standing. Bad knees, bad back? No problem! Get outside, raise your spirits, improve your health! There are no age limits to veggie gardening! Any wall or fence will do! Be creative! Garden anywhere! The Balcony is perfect! Every which way but loose! Grow Fast food in space saver Tower Gardens at home, to feed the homeless, at the office or hospital! At owner/architect Norman Millar’s Arkhouse in the Los Angeles area, the rooftop veggie garden gets plenty of SoCal sun in between polycarbonate panels. Photo: Robin Horton. It’s a “liberating DIY revolution,” as writer Megan Mayhew Bergman calls it. In her article “Democracy needs gardeners!” which is an inspiring call for Americans to dig up their lawns, convert empty spaces, and utilize available windowsills, Bergman urges Americans to start gardening as an act of patriotism. The Back 40 or a gorgeous Food Not Lawn front yard! Do it! Guerrilla Gardening has changed the face of many a landscape, raised neighborhood pride, and often feeds many! Started in 2009, Seattle’s 7 acre, 2.5 miles from downtown Seattle, Beacon Food Forest includes an Edible Arboretum with fruits gathered from regions around the world, a Berry Patch for canning, gleaning and picking, a Nut Grove with trees providing shade and sustenance, a Community Garden using the p-patch model for families to grow their own food, a Gathering Plaza for celebration and education, a Kid’s Area for education and play and a Living Gateway to connect and serve as portals as you meander through the forest. It’s all done by volunteers and the food is free for foraging! Small to large, Community Gardens, often urban, but not always, give landless apartment dwellers, children, disabled and seniors the blessed and grateful opportunity to garden, enjoy the outdoors, events – weddings, concerts, art exhibits, share friendship, learning and beauty with each other! Per the GrowNetwork.com: Only a few generations ago, our recent ancestors all kept their own seed supplies. I’m not talking about ancient history… I’m talking about your great-grandparents. They traded their favorite seeds with their friends and neighbors, and they passed on the best seeds to their children. In doing so, they bred vegetable varieties that were tailor-made for their local climates. And they maintained a healthy level of genetic diversity in their food supply. or get started with free seeds from a Library. Santa Barbara CA’s Foodbank offers free seeds and instruction to people in need to help them grow their own food! Local annual Seed Swaps are usually held in January so gardeners can plan their gardens, have plenty of time to start seedlings for spring planting. Seeds are a precious resource. Take good care of them. In any natural disaster, they are the first thing I would take with me other than my dog! If you are political, work to secure our right to have non GMO seeds and the right to collect our own seeds. Uncommon and common EVENTS! Local and international festivals, presentations, symposiums, exhibits and more! From Permaculture to rainwater catchment – graywater, soil building, seed gathering trainings, garden design, container gardening to farming, community gardens, vertical gardening, local food, edible flowers, bees, pests & diseases, organic, perennial vegetables, sustainability, to research! And then there are your favorite veggie & fruit festivals, the Gilroy Garlic Festival, The Avocado Festival, Pumpkins, Apples, Strawberries, Tomatoes! All bring out our very best and inspire more conscious gardening! In the US, the National Heirloom Exposition in Santa Rosa CA is September 6th, 7th & 8th, 2016. There will be over 100 national and internationally acclaimed on-topic speakers. You can learn and grow with some of the top names in the pure food movement and young people speakers from age 17 up! Three Day Pass only $30, kids 17 and under free! 3 Days isn’t really enough! Three proud sponsors include the City of Santa Rosa, Baker Creek Heirloom Seeds and Mother Earth News! The terms Permaculture, then Food Forests/Forest Gardening, have come into use. They have changed the ways gardeners approach gardening and their interactions with each other! Simply put, permaculture is the development of agricultural ecosystems intended to be sustainable and self-sufficient. The keyword here is sustainability! It’s a contribution to the planet. It makes living here a good quality option for our children. This is a revolution that makes sense and is well worth fighting for! Plant seeds today! Take super good care of yourself and your loved ones. Fuel your body, mind and Spirit with the very best! The Green Bean Connection started as correspondence for the Santa Barbara CA USA, Pilgrim Terrace Community Garden. We are very coastal, during late spring/summer in a fog belt/marine layer area most years, locally referred to as the May grays, June glooms and August fogusts. Keep that in mind compared to the microclimate niche where your veggie garden is. Bless you for being such a wonderful Earth Steward! See the entire July 2016 GBC Newsletter! 8th Annual Santa Barbara Seed Swap! National Seed Swap Day is January 30! List of seed swaps by state and date! Seeds, plants, cuttings and garden knowledge to swap. If you don’t have something to swap, bring yourself and take what you need – FREE! Save some seeds from the plants you grow to swap next year! I will be presenting at 12:30 PM, Intro to Seed Saving! Would love to meet you, renew our friendship! Santa Barbara’s average last frost date is Jan 22! I would say this is divine timing! If you are from out-of-town but near enough, and enjoy adventurous journeys, come make a day of it in our fair city! If you don’t live in our area, please check to see when Seed Swaps will be in your area! If there are none, if you are willing, please, please, please, contact local permaculturists, garden groups/clubs, to see about starting one! Preserving our heritage, not GMO but heirloom seeds, is vital to our continued nutritious future, and for our children’s healthy futures! ONLINE SEED SWAPS! If you can’t get to a seed swap, as the National Gardening Assn says: One gardener’s extras are another’s treasures! You can often find rare seeds and amazing heirloom treats! How to Seed Swap in Person! Bring your garden design, both summer and winter, and seed list. Stay focused! Viability! It’s not always certain exactly what you are getting or how old the seed is, but the price is right! However, old seed may not germinate at all, you lose time waiting for it. Support your local nursery when in doubt. Look for the sell by date on packages or containers. Is it a summer or winter plant, or plant again and again year ‘round? Take small baggies or envelopes and a pencil with you. Label what you get when you get it. Name, date & where harvested. See Seeds Rock! Choosing the Perfect Ones for You! See More on How to Seed Swap! With great gratitude to you and all our ancestors! Walk or bike to events as possible! Heal the land, heal yourself. Father’s Day Garden Gifts! June 17, 2018, Summer Solstice the 21st! 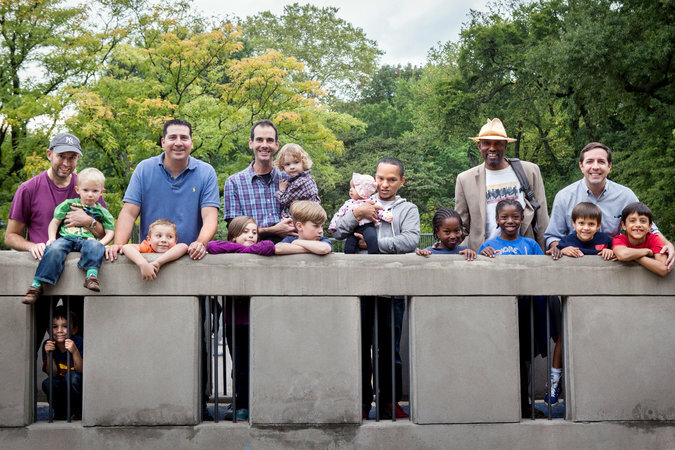 A group of fathers and their children meet weekly in New York for outings, including to the Ancient Playground in Central Park. Growing children is #1, Organic Veggie Gardening is super for the whole family’s health, so gardening Papas need good green respect! This year surprise him with a sleep in, or an outdoor Sunrise breakfast with a beautiful view! Could have a Summer Solstice Sunrise Gathering at the garden! At the breakfast table, what more wonderful than a centerpiece of living plants or beautiful flowers from your garden and delicious 100% fresh garden to table treats?! How about a garden magazine/ezine subscription? How about a selection of lovely herbal soaps?! Special gift! 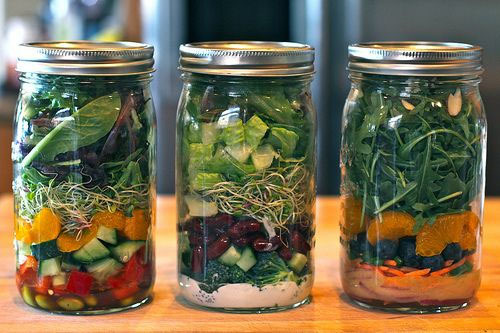 Fresh organic salad in a Mason jar? Yum! Maybe he is a she! 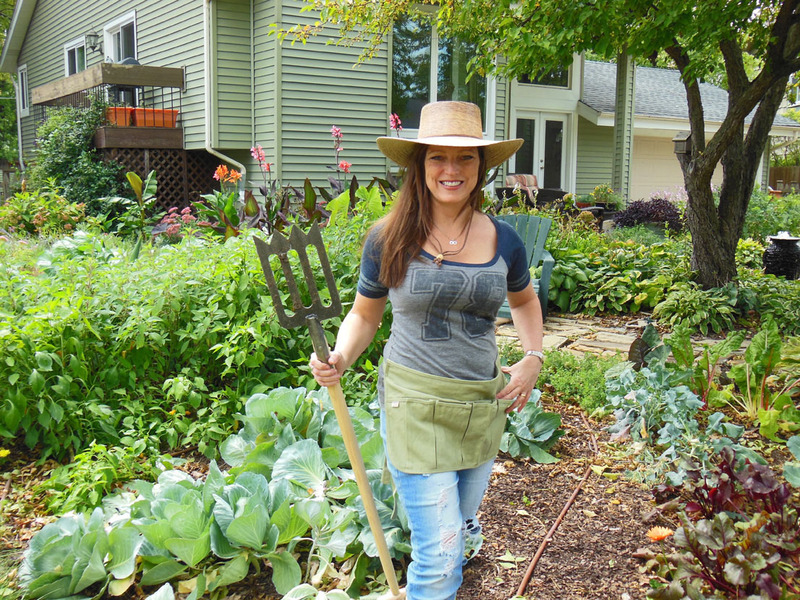 There are plenty of Moms doing a Dad’s job out there, busy single Moms who love to garden! Happy Father’s Day in advance to all you loving people! The Green Bean Connection newsletter started as correspondence for the Santa Barbara CA USA, Pilgrim Terrace Community Garden. All three of Santa Barbara city community gardens are very coastal. During late spring/summer we are in a fog belt/marine layer area most years, locally referred to as the May grays, June glooms and August fogusts. Keep that in mind compared to the microclimate niche where your veggie garden is. Bless you for being such a wonderful Earth Steward! Love your Mother! Plant bird & bee food! Think grey water! Grow organic! Mother’s Day is May 12, 2019! What more wonderful than a living gift?! Pony up for the Community Garden fee! Or the garden book she has been wanting…. Gift Certificate to a seed catalog company of her choice! Special gift! Fresh organic salad in a Mason jar for busy Moms! Yum! How about some easy-to-make cucumber night cream?! Maybe ‘she’ is a Dad Mom! There are a lot of guy Moms out there, busy single dads who love to garden! A Happy & Green Mother’s Day to all you loving people! The Green Bean Connection started as correspondence for the Santa Barbara CA USA, Pilgrim Terrace Community Garden. All three of Santa Barbara city community gardens are very coastal. During late spring/summer we are in a fog belt/marine layer area most years, locally referred to as the May grays, June glooms and August fogusts. Keep that in mind compared to the microclimate niche where your veggie garden is. Bless you for being such a wonderful Earth Steward! SEED SWAP, Greenhouse, Speaking Dates! I will be presenting at 1 PM, Intro to Seed Saving! Would love to meet you, see you there! Santa Barbara’s average last frost date is Jan 22! I would say this is divine timing! ONLINE SEED SWAPS! As the National Gardening Assn says: One gardener’s extras are another’s treasures! Here’s how they do it! See How to Seed Swap! Pilgrim Terrace Gardeners: The refurbished Greenhouse is ready for its first spring use! Starts begun at the end of January will be ready for March plantings! Walk or bike to 2015 events as possible! Heal the land, heal yourself. Feb 17, Little Garden Club, From Your Own Garden! If you are a member of the Little Garden Club, or can come as a guest, come to see my lovely presentation, a garden is more than the food you eat. Natural History Museum, 2 PM! Feb 28 brings the Master Gardeners’ presentation Year Round Edibles! 2 to 4 PM Onsite at Mesa Harmony Permaculture Garden. Planting times, seasonal garden practices, and food storage! 4 Speakers presenting, I will be first! This will be a super useful gathering! Bring your notepad, digital recorder, best garden friends! Saturday April 25 Santa Barbara Food & Farm Adventures! I will lead the Pilgrim Terrace Tour! 10 AM Bike Tour to Community Gardens; No Biker left behind! The Terrace will be first, then up they go to Trinity Garden! Enjoy seeing these very different gardens. Enter your email address to subscribe for super veggie gardening tips! Yes! April 2019! Time for those Luscious Heat Lovers! Grow a Pollinator Meadow at Home in Your Veg Garden! March 2019 Planting, Thoughtful Garden Design & Perfect Veggie Choices! February 2019! Winter Harvests, Soil Preps, First Spring Plantings! http://www.farmersalmanac.com Best Days & Calendars, Gardening Calendar!